Dr. Garrett Crabtree graduated with honors from the University of Louisville in 1977 and completed his Dermatology Residency at the University of Louisville in 1981. He was a member of the honor fraternities, Alpha Omega Alpha and Phi Kappa Phi. Dr. Crabtree is Board Certified in Dermatology by the American Board of Dermatology. 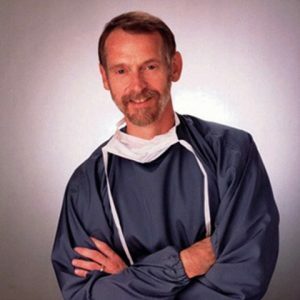 As Owner/Head Surgeon of the Liposuction Institute of Louisville, Dr. Crabtree has successfully performed Liposuction on many thousands of satisfied patients since 1984, and uses what he feels is the most “state-of-the-art” form of Liposuction known as Micro-cannular Tumescent Liposuction. Dr. Crabtree also specializes in Smartlipo™ Laser Lipolysis, and was the first physician in Louisville, KY to perform, and adopt the procedure. As a national trainer for Smartlipo, he has helped train many other physicians across the country to use the technique. Dr. Crabtree performs all liposuction surgeries under local anesthesia in a private surgery suite. In addition to Liposuction, Dr. Crabtree has over 30 years of experience in Cosmetic Dermatology and Dermatologic Surgery. Locally, he has often been on the forefront of new cosmetic procedures and technologies, such as cosmetic laser use, and injectables like Botox and Juvederm. To ensure the best results, Dr. Crabtree performs all cosmetic procedures, including injectables and fillers, personally.